Yet another thumpingly pedestrian issues-film from Robert Redford. The movie takes the form of an historic court-room drama, with James McAvoy playing the lawyer defending Robin Wright's Mary Surrat of conspiracy to murder President Lincoln (she was Booth's landlady and her son has mysteriously fled.) 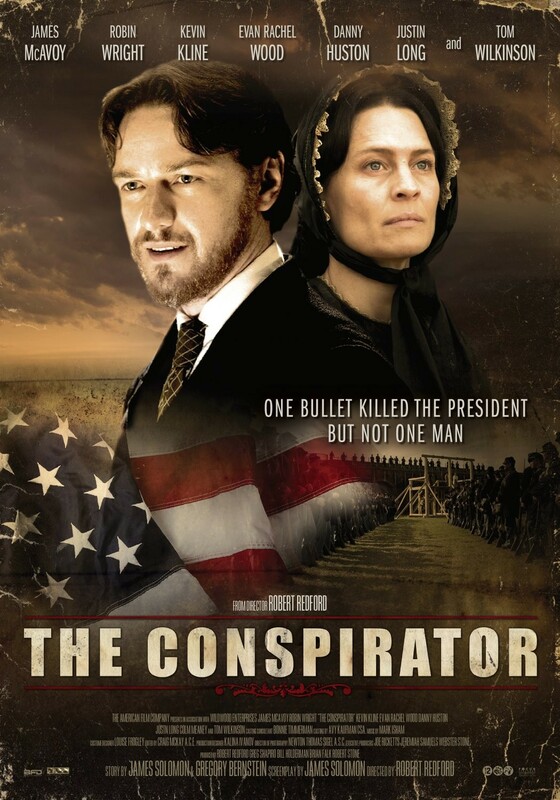 This being a Redford film, the politics are naively simple and oppositional: McAvoy's lawyer is the champion of all things good - liberty, the constitution and the right to a fair trial even in the wake of an appalling political crime. Kevin Kline's war minister represents the forces of evil: putting ends before means, willing to sacrifice right to expediency, with a contemporary relevance in that Surrat was denied a civilian trial before her peers, and tried under military law. The issues are fascinating, the casting top notch, Newton Thomas Sigel's cinematography is superb, and the dilemmas at the movie's heart are clearly highly relevant today. The problem is that it feels like a college debate rather than a movie. Movies must entertain. If they educate and provoke as well, then all to the good. But no-one ever learned anything while their eyes were rolling to the back of their head in boredom. Castigat ridendo mores. Moliere knew this. Redford apparently does not He needs to treat his subject matter with a little less respect and his audiences with a little more. THE CONSPIRATOR played Toronto 2010 and opened in summer 2011 in the USA, Hong Kong, South Korea, Ireland, the UK, Portugal, Australia, Turkey, Kuwait and Germany. It opened last month in Singapore. It goes on release in Belgium on November 16th and in Spain on December 2nd. It is available to rent and own. iPad 5 Round-Up - 4.3.2.1.